Sustainably grown food can be expensive, but people buy it because it's better for the environment. Perhaps it's time to start thinking about energy efficiency in the same away. Rooftop solar isn't widespread in California because the state limits homeowners' ability to sell excess solar energy back to the grid. Although the growth of solar power has been substantial in California in recent years, the percentage of homes that have solar panels on their rooftops is still small — less than 2 percent. Likewise, many property owners throughout the state have yet to install energy-efficient upgrades to their homes. The reason often comes down to cost: It's still expensive to adopt green-energy practices, even though prices have come down in the past decade. And that's especially true for residents of Oakland, Berkeley, and East Bay cities who live in smaller homes and don't use a lot of electricity. 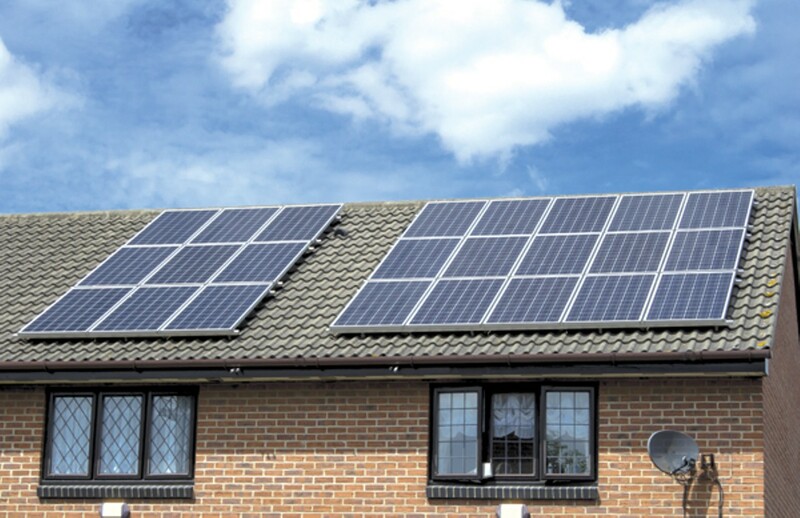 In fact, solar power and energy-efficient upgrades are still cost-prohibitive for many such homeowners — that is, it costs more to put solar panels on your home or make energy-efficient upgrades than what you'll save on your monthly PG&E bill. Part of the problem is that the state does not provide enough green-energy incentives, particularly for low-energy users. 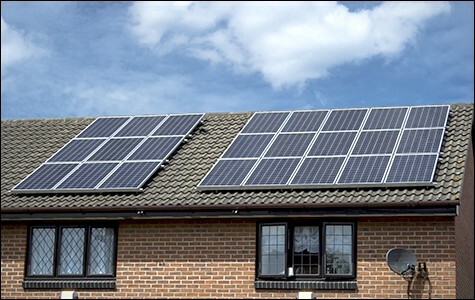 For example, California strictly limits a homeowner's ability to sell excess solar energy back to utilities. Until such policies change, some environmentalists contend that eco-conscious consumers may have to start viewing energy efficiency much like they do organic and sustainably grown food: It's expensive, but good for the earth. Dan Forman of the Sierra Club San Francisco Bay Chapter said he knows some area residents who have installed solar rooftops, knowing full well that they will never recoup their costs. One said, "'I know that I'm not making money on this — I'm doing it because it's the right thing to do,'" Forman said. But that's not to say you shouldn't take advantage of existing green-energy incentives. For example, Energy Upgrade California, a state program, gives homeowners between $1,000 and $4,500 for permanent home upgrades — i.e., things you can't take with you when you move — that improve energy efficiency. Ratepayers fund the program via a tax on their energy bill. Here's how it works: Homeowners choose from a list of pre-approved, specially trained contractors available at BayAreaEnergyUpgrade.org. (They can also see all the rebate programs they qualify for at EnergyUpgradeCA.org, and then choose a contractor based on which ones they specialize in.) There are two main programs — Home Upgrade and Advanced Home Upgrade. The former is based on a point system: Each upgrade is given a certain number of points and the total rebate amount is based on how many points you accumulate. The latter option offers a rebate based on the total energy consumption of your home after the various upgrades have been completed. It requires an energy assessment test. Advanced Home Energy, which is based in Richmond, is one of the largest Bay Area contractors to participate in Energy Upgrade California, according to marketing manager Marisa Lee. Lee recommends the Advanced Home Upgrade over the Home Upgrade plan because it's more flexible and offers better savings. (For example, window upgrades aren't available through the Home Upgrade plan.) It begins with an audit of the "health and safety" and "comfort and energy efficiency" of your home, said Lee. 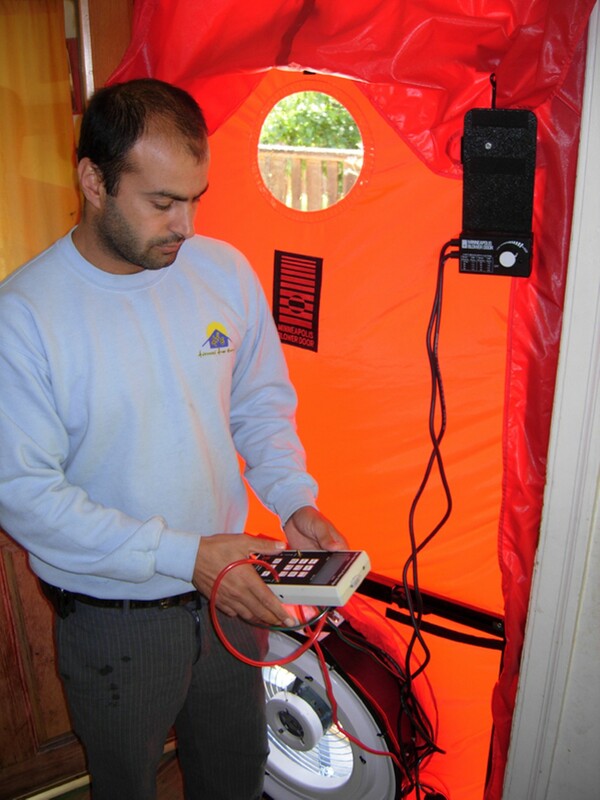 "Health and safety" means checking for asbestos and testing gas appliances, for example, while "comfort and energy efficiency" evaluates things such as how well your insulation is working and how efficient your furnace is. That report is then submitted to your local utility company — for most East Bay residents, that means PG&E. After going over possible upgrades and the cost of those fixes with the contractor, the homeowner then decides on a plan of action. After the work is completed, the contractor performs another energy audit of the home and submits it to PG&E, which would then send a check to the customer. In addition to the $1,000 to $4,500 rebate for the upgrades, PG&E also offers up to $300 for the audit, which can cost between $100 and $450, depending on the size of the home, said Lee, who added it's possible that the entire audit will be covered. Still, even with the rebates, many residents won't recover the costs of the actual upgrades. For example, if your monthly PG&E bill is $100, and you pay $10,000 (with a $4,500 rebate) for upgrades that reduce your bill to $75, it would still take 220 months — or about 18 years — for your investment to pay for itself. And that's a best-case scenario. An exception is for those who use a lot of energy. Lee said one customer reported saving 70 percent on his energy costs after making upgrades to his very large home — but his bill started out at $700 per month and was reduced to $100. "The average energy savings varies significantly — it's based on home size and location and age of the home," said Monica Tell, spokesperson for PG&E. But there are other benefits to participation, she added, including increasing comfort and improving indoor air quality. Natalie De Leon, sustainability and energy specialist for Bay Area Regional Energy Network, the agency that's implementing the program locally, said the program also makes most sense for old homes (which she defined as being built before the early Eighties), homes that generate high heating and cooling costs, and homes that need improvements regarding health and safety. For those who decide to go ahead with the program, the most cost-efficient upgrades are related to heating and making your home safer, such as removing old asbestos and installing wall and attic insulation, said Lee. Insulation can go a long way in keeping a home warm in the winter and cool in the summer. The state is hoping homeowners will take advantage of the program, which has been re-designed after a shaky start. According to a December report in the San Francisco Chronicle, only 12,200 upgrades had been completed since the effort launched in 2011 — far short of the state's 100,000 goal. The program also spent millions of dollars on marketing and education costs rather on rebate checks (initial funding came through the federal stimulus package). According to some local contractors, there were several hurdles to program participation on the part of homeowners and contractors. "It required a tremendous amount of pre-test and post-installation data," said Bob Tuck, president of Oakland-based Atlas Heating and Air Conditioning. "It required really too many hoops for the homeowner and a fairly high degree of uncertainty as to how big a rebate they were gonna get." Cost was another factor. "Most upgrades required changing the water heaters and furnace," said Gabriel Koppan of Berkeley-based Koppan Builders. "Most [homeowners] said, 'No. I cannot afford that.'" Koppan said he wasn't making enough money doing the upgrades, which also required a lot of paperwork, so he stopped doing them. The point-based Home Upgrade program was introduced to be a less-cumbersome plan, said De Leon. Tuck said the revamped program is better than the old one in terms of being upfront about rebate amounts and is a "definite step in the right direction." Still, he added, "it's not for everybody" because of the costs involved. Solar-rooftop installation faces similar challenges. Although federal rebates can reduce the costs of solar panels by about $3,000, some solar installers, like San Mateo-based Solar City, don't recommend solar-leasing programs to homeowners unless they spend at least $90 a month on electricity. The reason is that the monthly costs of leasing solar panels is higher than that — so going solar is not cost-effective for low-energy users, although it's much better for the environment. Currently, more than 45 percent of the power generated by PG&E comes from natural gas — a highly polluting fossil fuel that is increasingly produced through fracking. Jonathan Bass, vice president of communications for Solar City, said going solar makes financial sense, of course, for people with large homes or those who live in the warmer central and southern areas of the state and use a lot of energy cooling their houses in summer. "It's really more beneficial ... for people who use a lot of energy," he said. Although Oakland-based Sungevity targets customers who can save money by going solar, the company does not want to dissuade residents who want to do their part in the fight against climate change, particularly those who live in smaller homes in Oakland, Berkeley, and other cities west of the hills. "There are folks who are really down to do something for the environment," noted Morgan Sloane, Sungevity's customer experience officer. So why doesn't the state provide more solar incentives for low-energy users? Investor-owned utilities like PG&E strongly oppose making it easier for homeowners to install rooftop solar and pay for it by selling excess energy back to PG&E. Utilities argue that such a system would unfairly exempt solar adopters from helping to pay the substantial costs associated with operating the electrical grid. Some environmentalists, however, say it's not fair that low-energy users who want to go solar but can't afford it are effectively blocked from trying to do their part to help the environment. "There's lot of usable rooftop space that's being underutilized," said East Bay MUD board member Andy Katz, who represents Oakland and Berkeley. "And customers should have choices."